The Christmas Promise by Sean D. Young is the second in her series A McClendon Holiday which revolves around the McClendon sisters. Each book can be read as a standalone with characters crossing over to the other books. This particular book is about Jennifer McClendon and a vacation that gives her more than she bargained for. The romance and plot of this book was a little all over the place which is where it lost me. The pacing was odd. The beginning when they first meet moved at a fast pace. Then when it fast-forwards a few years the pace and plot dragged. There wasn’t enough to keep me interested, yet I finished the book because I was invested in the characters by this point. Also the writing style…this was more a case of “it’s me, not you.” It just didn’t work for me. At times it felt clunky and overly detailed and I would rather have just enough detail to get the picture and allow my imagination to do the rest of the work. Overall, The Christmas Promise was just an okay read for me. It’s a sweet, (surprisingly) clean romance set around the holidays. There is plenty of drama and a little tugging of your heartstrings as well. If you enjoy contemporary, second chance romances, I highly recommend it. 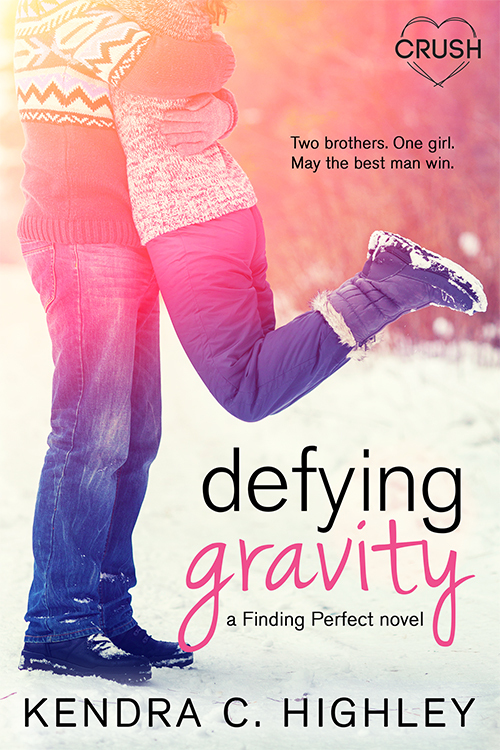 Defying Gravity by Kendra C. Highley is just 99¢! Sounds like a good read for this time of year. Glad you enjoyed it.